Although born in New Brunswick, Brittaney Bennett grew up in the B.C. Interior. 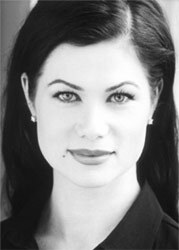 She went to theatre school at Studio 58 in Vancouver and is married to actor, Matthew Bennett, who directed the feature Kick Me Down. It had its World Premiere and won the Grand Festival Award at the Berkeley Video and Film Festival in September of 2010.